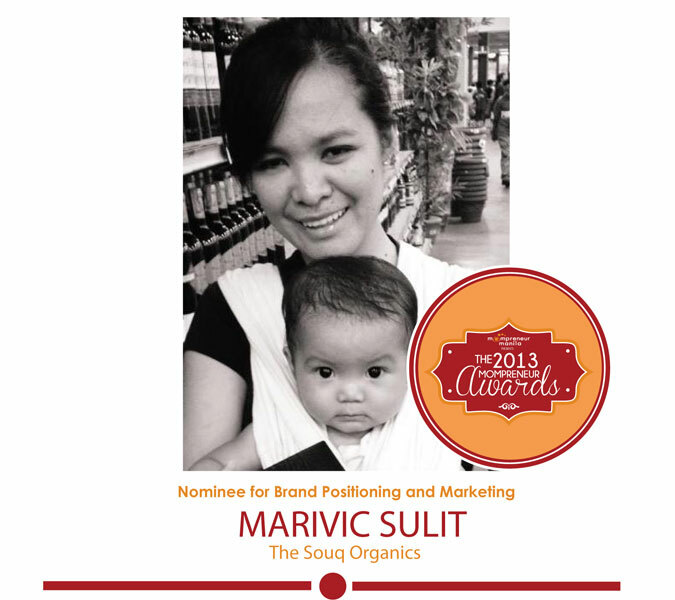 Marivic, or known as Em to most, is the Managing director of The Souq Organics, a company that is focused on bringing quality organic skin products from all over the world. From a 2-person operation selling in bazaars, Souq is now a 35 people-strong corporation in just a span of 2 years. Souq has its own brick and mortar store as well as an online storefront, and its products are now distributed and sold in outlets such as PCX, Trinoma, Landmark and Mercury. Em, who is also a hands on mom of one, is one of the driving forces behind Souq’s success.